Look what I bought…. 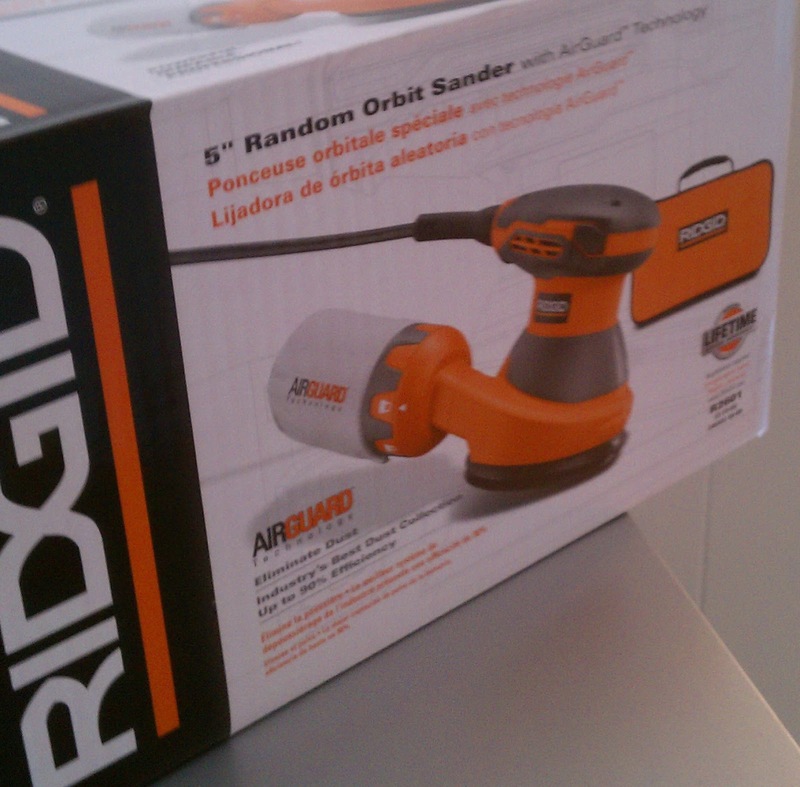 a 5in Orbit Power Sander. Yep….that’s right. Some might gasp at the thought of me with power tools of any kind but I will have you know that everyone and everything is in tact. In fact, I believe I have found my happy place. As my neighbor told me “You look so peaceful and zen-like”. 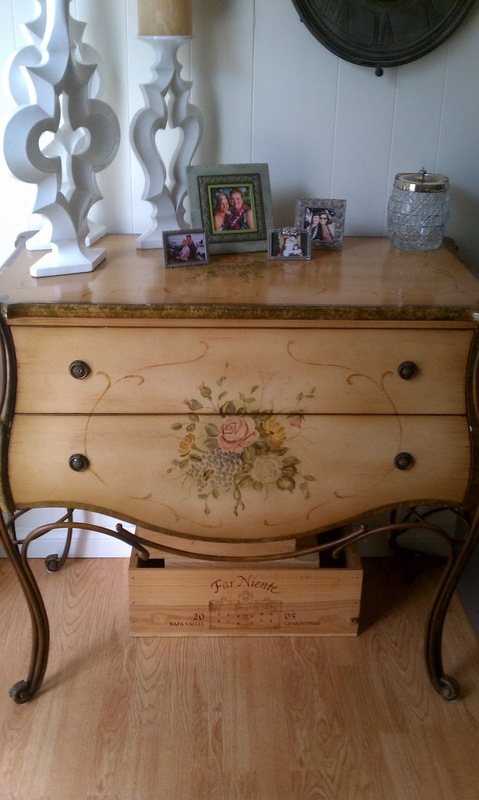 OK….victim..I mean project #1….. My sister (or was it my mom…hmmm) gave me this chest. It’s nice…but it didn’t go with my Hollywood Regency styled apartment but I like the “bones” of it. The iron legs and the curvature of the “body” are fab. 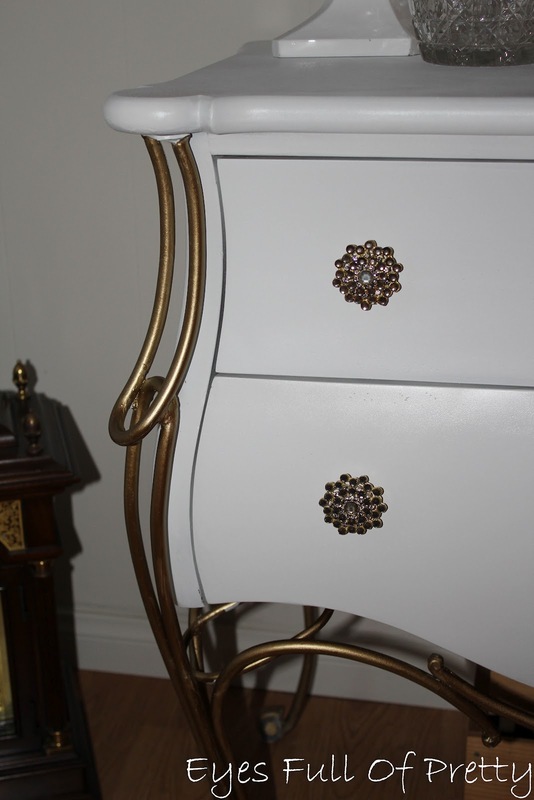 The vision…..all white high gloss painted “body” with gold legs and hardware. 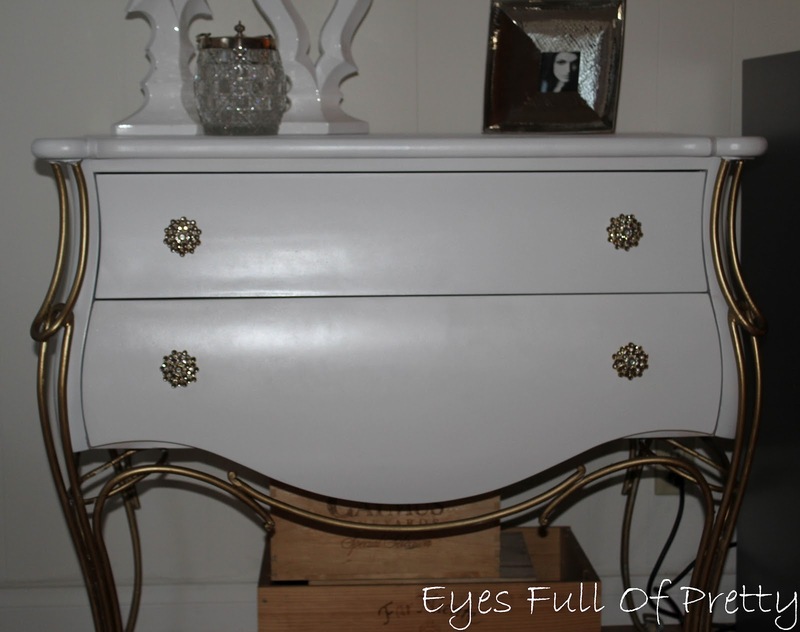 I did some research online in various places…mostly on Houzz which gave me confirmation of what the future held for this dresser (chest?? dresser… no chest…whatever). Here is the “After”. What do you think? Of course I could have re-used the original hardware but when you walk into Anthropologie and see these beautiful vintage-like brooch style knobs…they begged to be rescued. Anywho….. I used Kilz Original Indoor/Outdoor White Primer (it did leave a slight gritty finish that I had to sand a little to smooth out (220 grit sandpaper)). The spray paint was Krylon Indoor/Outdoor White Gloss. It wasn’t as glossy as I’d have liked and would probably (and still might) use Lacquer paint. All in all…I’m quite pleased with my first painting project. What’s next??? It looks great, Julie. I LOVE the gold legs! Julie, you are an inspiration. The chest looks fabulous.